Tracking your order is simple. Here are some quick answers to common questions. According to FedEx my package was delivered, but I didn't get it. 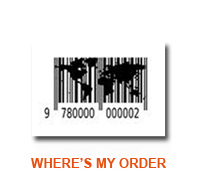 Your order's tracking number can be accessed by logging into the account you created during checkout. Please note that order tracking numbers are also sent via email as soon as FedEx picks up your package at our warehouse. Please allow 24 to 48 hours for your order to be processed. (We process orders and ship orders Monday through Fridays. (We spend Saturdays with our family and do the Lord's work on Sunday). Please always check your junk, bulk or spam email folders if you feel you are missing an email from Get Moving Catalog. Spam filtering software may be installed on your computer or used by your email provider or internet service provider. We apologize if your package has not arrived when you expected. The majority of our orders are delivered within the 5-7 business day terms outlined in our terms and conditions. However, sometimes there are circumstances beyond our control that can cause delays in processing and shipping your order.Thanks for your patience and understanding. Your Get Moving Catalog Order Number : starting with the letters "TF" , followed by 9 numerical digits(.ie. TF- 500012345), or the 7 digit order number printed on the Team Beachbody Packing Slip. Our order numbers are in this format ONLY. If your order number is not in this format, please cross check your records and contact the company where you made your purchase..
Before you contact us, please ask all members of your household and neighbors if they have seen or have received the package we sent you. If you still don't find it, you will need to provide us with critical information so we can start an official investigation with FedEx. Order Number : starting with AB- (followed by 5 numerical digits), or your 7 digit order number.Our order numbers are in this format ONLY. If your order number is not in this format, please cross check your records and contact the right vendor.